Boy, did I luck out? 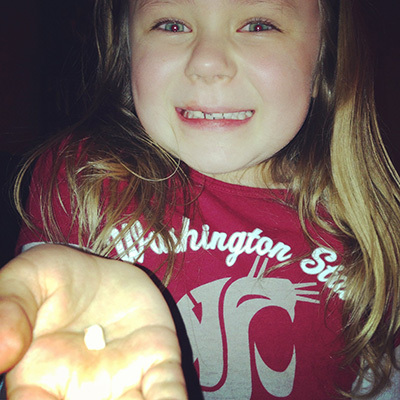 Apparently, according to Nanny Jane and my mom, today is National Tooth Fairy Day. What a close one! Guess who visited two days ago? But what if I’d lost it last night and she’d been on vacation? Is it like the garbage truck that sometimes takes days to catch up after a holiday or does she just skip the day all together? Either way, it was awfully good timing to jump on that trampoline at the birthday party. Although we did almost lose my tooth in the birthday balloons, my tooth made it safely under my pillow and the wonderful tooth fairy did sneak in and leave me a gold dollar coin and a trail of her glitter dust. So on her day today, I am still covered in glitter and my smile is missing a tooth, but I just wanted to say thanks, Tooth Fairy. Hope you are having a grand day! 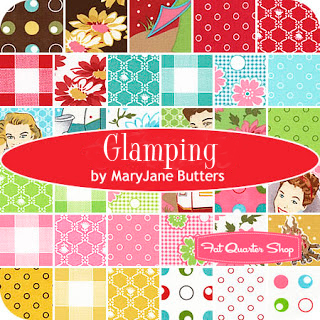 Glamping is the debut line from MaryJane Butters for Moda Fabrics. 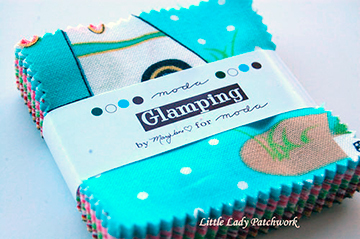 She mixes glamour and camping in this fabric line. 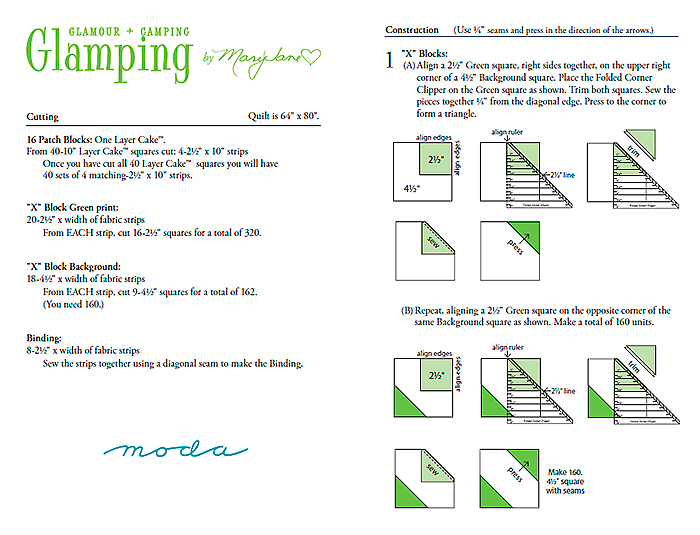 Below is a freebie quilt pattern for my Glamping fabric. 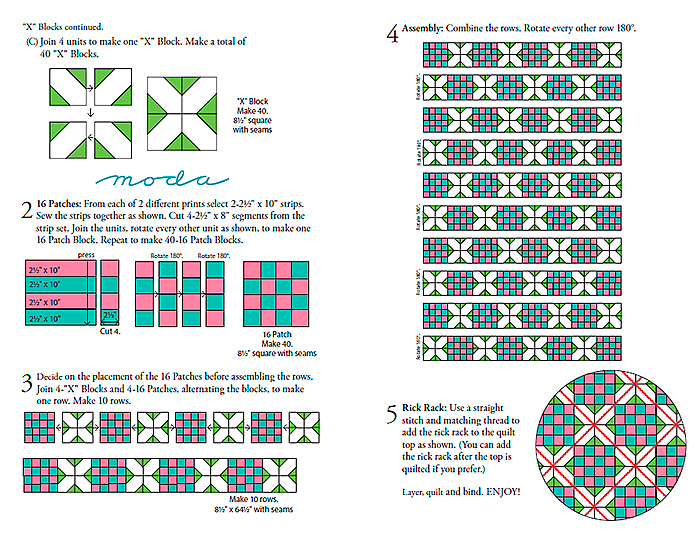 If you want to print this out, it’s quite lovely! Click here to be taken to the PDF. 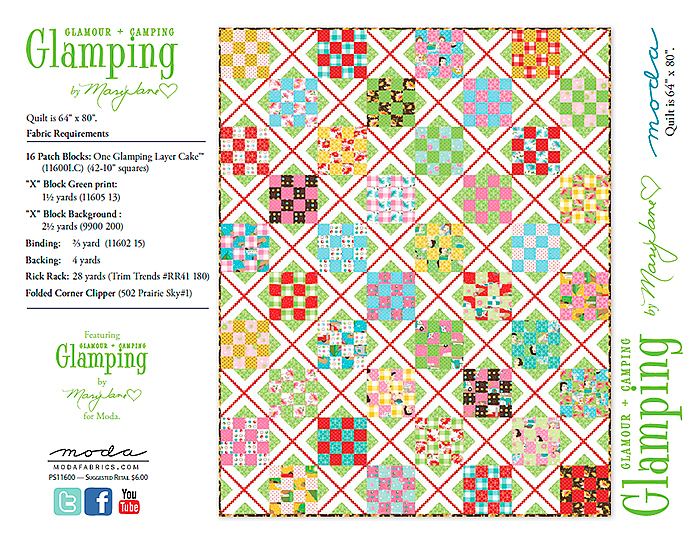 Come on over here for more of my Glamping patterns! Soon to be in a fabric store near you. 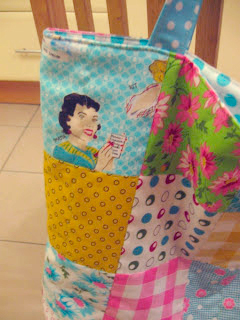 Check out this tote that Pippa, of Pippa’s Patch, made out of my glamping fabric. Get out your lariats and round up this whopper of an idea right along with me. Lasso shoes combine sewing and ingenuity to give us inexpensive footwear made of 100% natural materials: wool, cotton, and natural leather. I’m thinking Lasso shoes will be a great project for my grandgirls, DIY style. The kits are made in France by people with disabilities. They’re part of KickStarter, a website that helps start-ups get funding. They’ve already successfully reached their goal (and then some!). So head on over to their KickStarter page to pre-order your Lassos at a discount price by choosing “back this project.” Hurry, pre-ordering at a discount is only available until March 1. Well, now you may politely inform him that you were actually on your way to Crazy Woman Creek. What a hootenanny of a place to get your glamp on! Below is one man’s recount of how the creek and campsite were given their names in the Bighorn National Forest. Once they had formed a dependency on the liquid, he began charging them more and more for drinks. Finally, he claimed to be out of liquor and said he would leave to obtain more. Since the trader had virtually all of the village goods by that time, they didn’t believe him. Rather, they suspected that he would now go to trade with their enemies, the Sioux. They killed and then scalped him in front of his wife and she was struck in the head with a tomahawk and left for dead, but not scalped. After the warriors had departed, a Crow woman saw that she was not dead and secretly nursed her back to health. Thereafter, the trader’s wife lived in the area but was deathly afraid of the Crow warriors and would hide at their approach. Some of the Crow women continued to feed her for a time, but eventually she was never seen again and presumed dead from starvation or animal attack. The Crow annually returned to the area of the trader’s post and with time, the stream became known as the Crazy Woman’s Fork and then later Creek. The preceding story has been attributed to a George P. Belden, a Second Lieutenant in the 2nd Cavalry, who was stationed at Fort Phil Kearny in 1867-68 and had lived with the Crow Indians in the years prior to his military service. Click here for more legends on how the area was given its name. 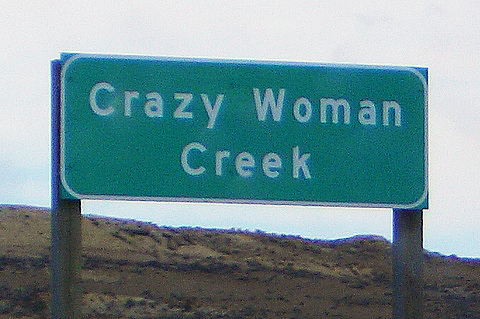 There is also a book titled Crazy Woman Creek-Women Rewrite the American West and swag for sale on Zazzle! 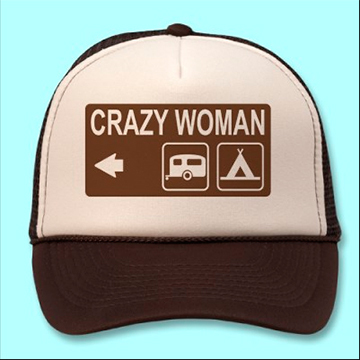 Wouldn’t a Crazy Woman hat be a great gift for a white elephant gift exchange? Or to wear while towing your glamper headed for a certain campground in Wyoming? 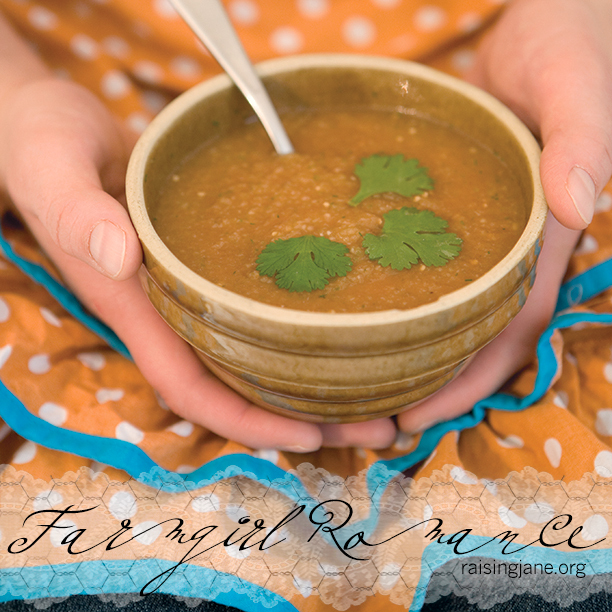 Momma Butters (meemaw in her pinafore) has been churning away on her next book, Milk Cow Kitchen. That means we’re getting in on some serious cheese tasting. Manchego paired with pear anyone? It can be delicious work, but I guess somebody has to do it. 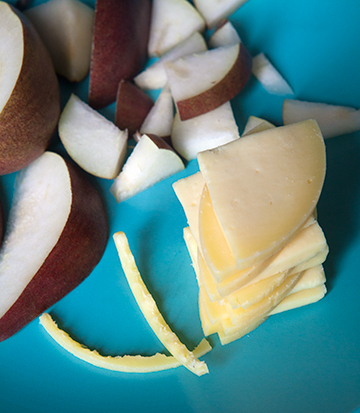 Not to be too cheesy, but who’s paring the cheese paired with pear, pared to the rind? 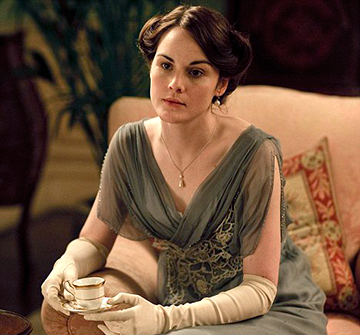 Fellowes also alludes to his plans to write a new period drama for NBC. It’s happened before. 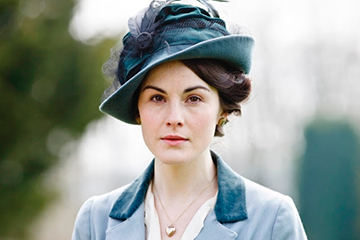 But this time, she does it in an even larger group setting. She’s someone you care about a lot, enough so, you can’t bear the thought of correcting her privately, let alone publicly. What’s a girl to do? Never mind. That is WAY too manipulative and underhanded.